I mentioned at the start of this series that my whole family got involved in my top ten picks this year. I gave them my list and they ranked all the choices. The final three records are all unanimous choices in my family. We may not agree about my entire top ten, but the final three were at the top of everyone’s list. Ben Kweller provided many great moments this year for us. 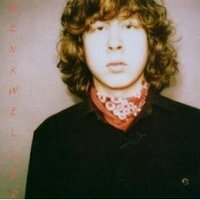 Whether it was his blood stained show at Austin City Limits, meeting him afterward, going to his Webster show with Jessica and her music teacher, meeting Ben again after that show, or the fact that his new record was played basically every day in our home during the second half of 2007, this was a Ben Kweller year in our family. This is the best record Ben has made so far. He’s so talented that I am sure he’ll produce even better work in the future. But this one is so good. I have no idea why it is only #1,935 in Amazon’s current ranking. This should easily be one of the top 100 records right now. It’s that good. Every song on the record is great and you can’t help but sing along with it. It’s everything a rock and roll record should be. Do me a favor and buy this record and move Ben up a notch or two. You won’t regret it.